WASHINGTON — Republican presidential candidates Ted Cruz and Mike Huckabee called upon Christians to stand with a Kentucky county clerk who has been jailed for refusing to be forced to issue marriage licenses to homosexuals in violation of God’s law against homosexuality. “I stand with Kim Davis. Unequivocally. I stand with every American that the Obama Administration is trying to force to choose between honoring his or her faith or complying with a lawless court opinion,” he said. Cruz stated that those who believe Davis should resign are essentially stating that Christians should not hold government positions. “Those who are persecuting Kim Davis believe that Christians should not serve in public office. That is the consequence of their position. Or, if Christians do serve in public office, they must disregard their religious faith–or be sent to jail,” he said. Former Baptist minister and Arkansas Gov. Mike Huckabee has now launched a petition to Barack Obama, U.S. Attorney General Loretta Lynch and U.S. District Court Judge David Bunning, calling for Davis’ immediate release. Huckabee said that he spoke with Davis prior to her court hearing and offered his support. 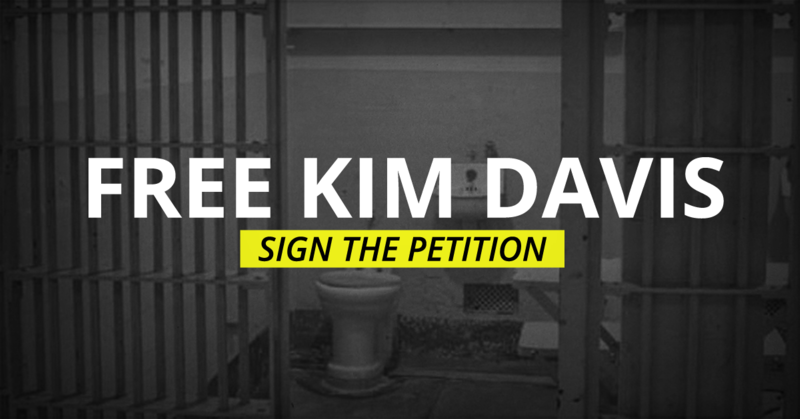 “Kim Davis (and others) are attempting to stand in the gap. Their fealty to the Lord does not allow them to join the higher authorities in their rebellion against God,” he wrote in a blog post this week.